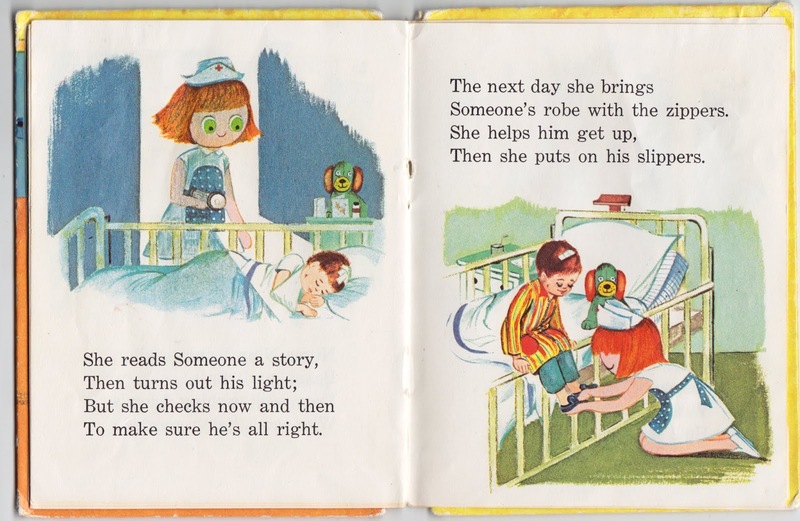 Random Passage: "See? 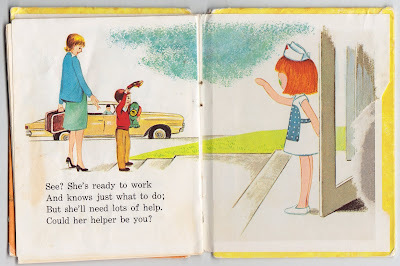 She's ready to work/And knows just what to do;/But she'll need lots of help./Could her helper be you?" 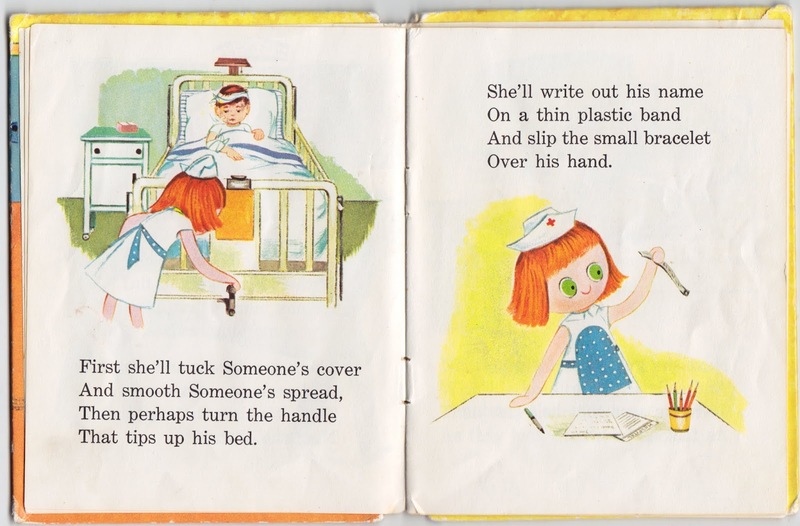 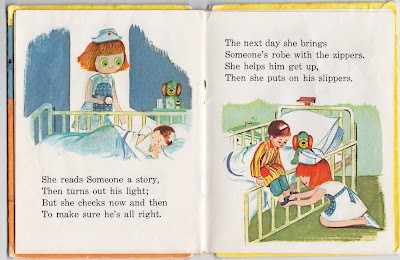 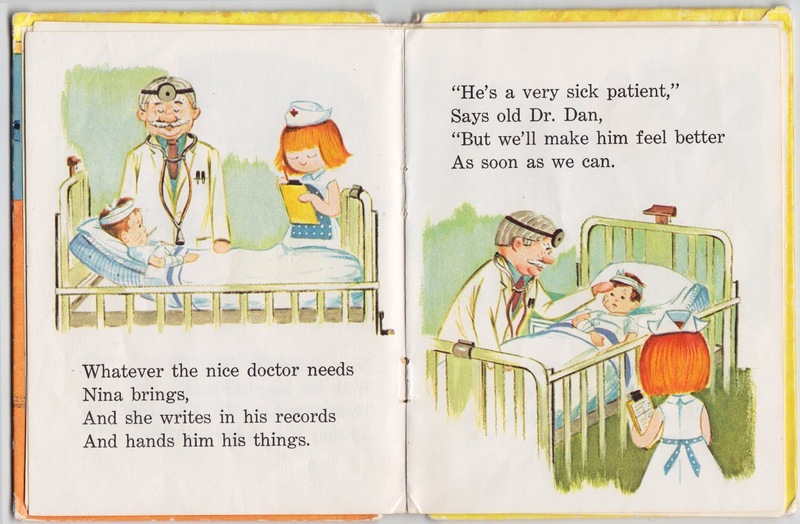 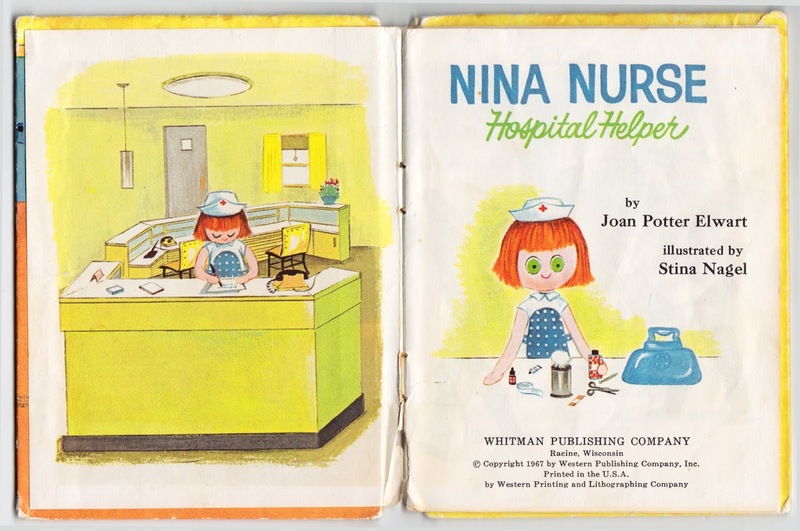 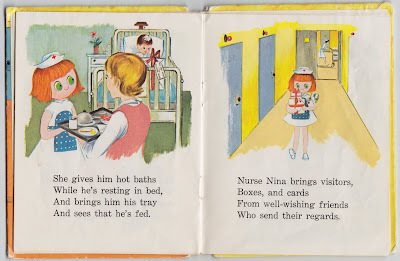 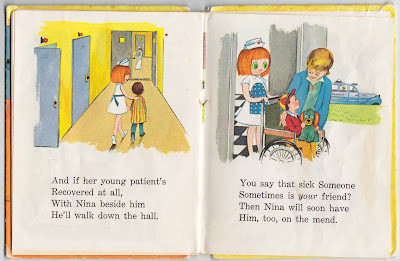 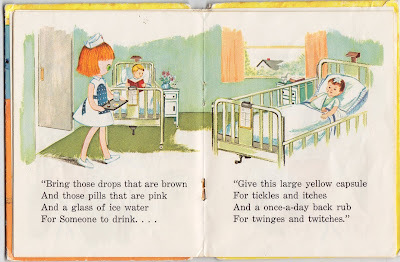 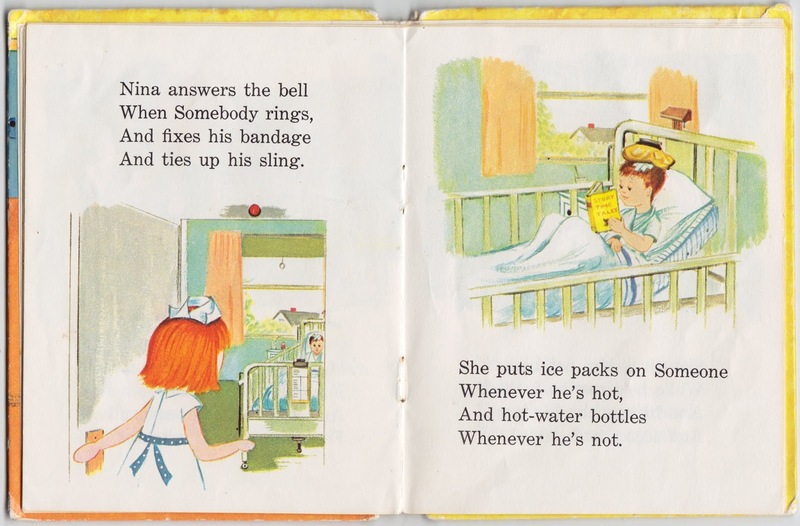 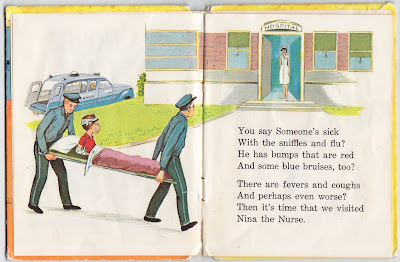 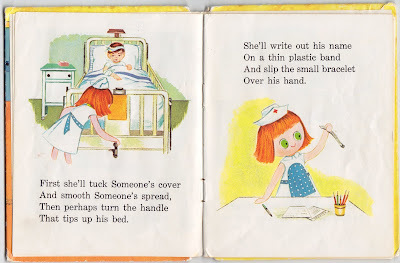 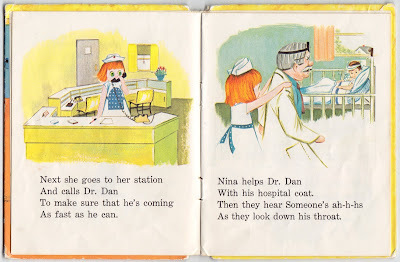 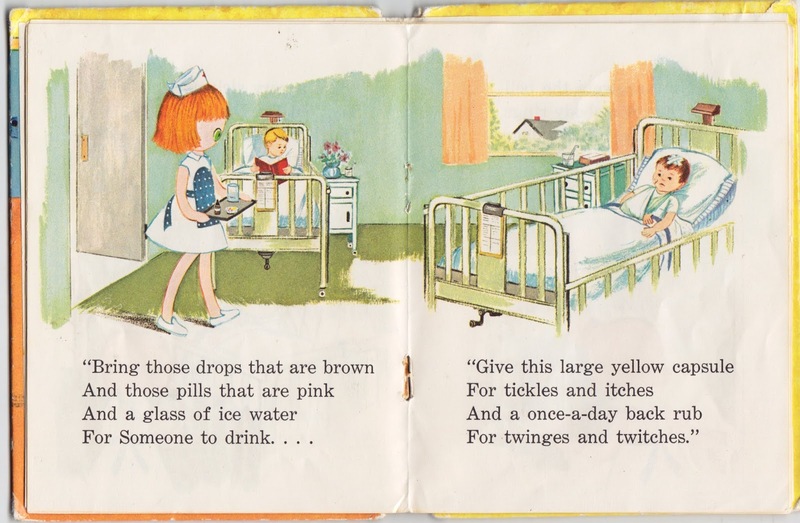 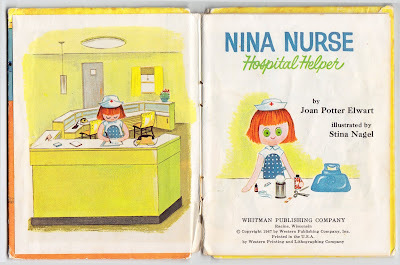 Notes: Nina Nurse: Hospital Helper was originally sold as part of the PeePul Pals, a series of doll-and-book playsets manufactured by Whitman in 1967. 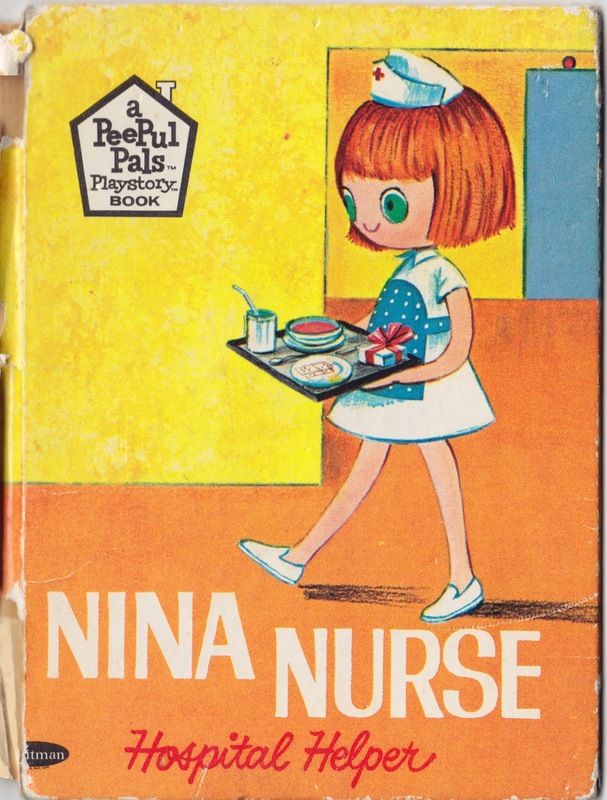 In the book, the saucer-eyed, somewhat unsettling Nina helps out in a hospital filled with human characters who are the same size as the doll. 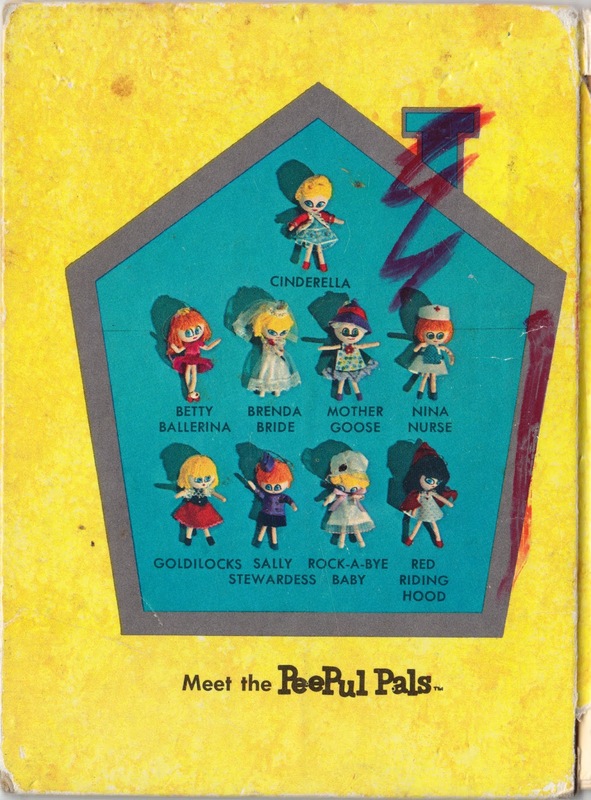 PeePul Pals centered around characters from classic fairy tales and traditionally feminine identities such as nurse, stewardess, bride and ballerina. On vintage reseller site Rubylane, a seller offered a nicely preserved Sally Stewardess PeePul Pal. Enjoy the entire contents of Nina Nurse: Hospital Helper!